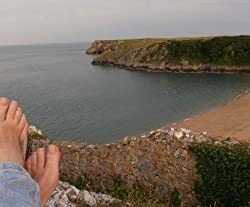 Bob Summer lives on the Pembrokeshire coast in Wales. When she isn't writing or reading she'll be found walking the dog or gazing out of a window. As a child Bob refused to do as she was told. As an adult she still hates following rules and will be eternally grateful she has never had to work a 'proper' job. Please enter your email address and click the Follow button to follow Bob Summer! Six gritty stories reflecting the lives of those struggling against the odds Because where there is neglect, violence and abuse, there is often hope, recovery and retribution.